Getting a tattoo is very exciting. 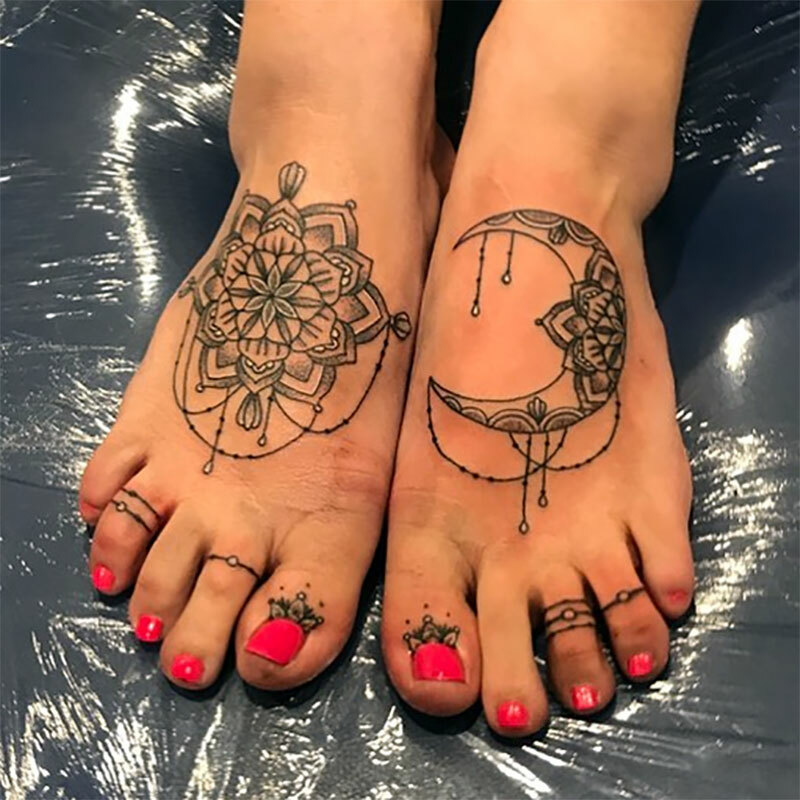 Whether this is your first, or your twentieth tattoo, choosing a design is a big decision! These days, your choice is made easier than ever with blufashion.com online tattoo galleries. The art of tattooing is all about identity symbolism and expression - our choices in this art form reveal how we perceive ourselves and what we value in our lives. With the exception of laser removal, tattoos stay on your skin until your journey into the afterlife, so extra care in choosing what to put on our bodies is a must. Regardless of the intricacy or simplicity of a design, all tattoos bear a deep meaning for the wearer. That is where the first consideration in choosing a tattoo lettering design comes from: more than just the art, the tattoo has to mean something to you. Self-expression and identity symbolism in tattoos do not need to come in the form of an image. These days, the most favorite form of tattoo art is lettering, and it continues to gain popularity worldwide. Starting as just the way for people to represent meaningful initials on their bodies, tattoo lettering has advanced into an art form in and of itself. Today, a widening range of fonts is available; there are now so many different variations that it is possible to satisfy the demands of even the most finicky and particular of clients. It has become so popular that it has also risen above cultural barriers: tattoo lettering is now done in numerous languages, arguably the most popular of which are Tribal, Celtic, Chinese, Japanese, Latin, and Old English. However, choosing a tattoo lettering design from a foreign language also has its pitfalls. Many make the mistake of choosing a word that appeals aesthetically to them without bothering to find out what it actually means. Aside from choosing a tattoo lettering design that catches your eye, be sure to research the tattoo’s meaning before inking it onto your skin. Websites such as this one, graphic design catalogs and other computer programs have a lot of font choices. Advertising logos. Is there a brand of anything you are particularly fond of? Examine the font design of accompanying words. Does it appeal to you? Would it work if it’s translated into a tattoo? Fine art. There is very little art that has words within. However, the distinct style and imagery choices of your favorite artist may inspire you to come up with your own font design. Other languages. Is there a language that visually interests you? Consult with your tattoo artist and bring writing samples of the language. All tattoos slowly lose their color over time as the ink seeps below the skin. While most tattoo drawings put up with such changes well, tattoo lettering can become unreadable especially if the design entails small letters or fine lines. Image tattoos may be retouched, but letter tattoos may be difficult to repair if the details become unrecognizable. So when you’re having your tattoo lettering design inked in, make sure that the tattoo artist makes the letters well-spaced, and that lines are evenly done.